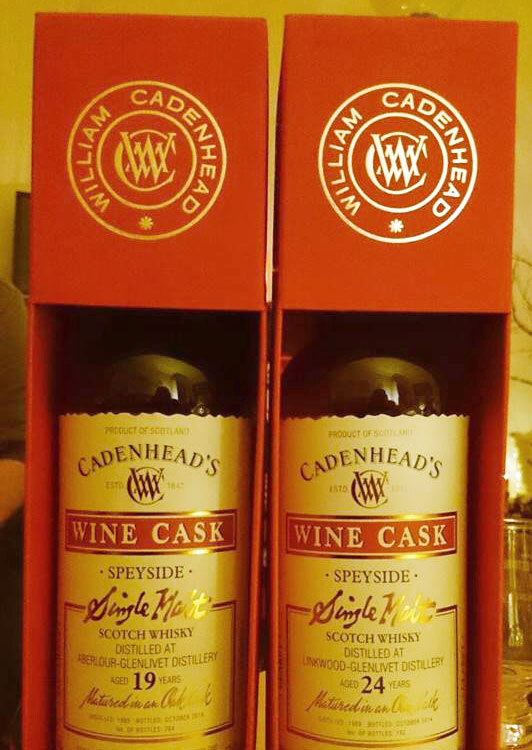 It was Bordeaux all the way for this meeting, with Speyside being 'married' with the casks of two famous wines: It was not only a battle between Linkwood and Aberlour, but also Claret and Sauternes. Will these marriages be true love, or a desperate legal scramble to enforce the pre-nup? It was a close, misty evening as the first sounds of activity drifted over the sea, as the large steam ship towered into view through the unravelling fog. "Oh boy! Empire biscuits! ", yelped an intolerable Victorian child, as the HMS Dandelion & Burdock began to dock. A hive of activity erupted from deck as smells of sweetened sawdust morphed into that of a barn in summer for those with an imagination powerful enough to transmogrify the industrial revolution into a waif-like dream of wilful abandon. The cargo was varied: strawberry jelly & custard, toasted marshmallows, creamy vanilla, toffee apples, crème brûlée and burnt sugar made up the contents of the dessert compartment. Unfortunately someone had taken their eyes off the ball with the apple compartment and it had become the fermenting/mouldy apple compartment. The silage compartment had been given an unusual amount of care and attention, for this was no ordinary silage... Wait, actually it was ordinary silage. No wonder the apple-seaman was up in arms at the staff quotas! Calvados and cream soda made up the esoteric drinks delivery whilst the final unloading was a box of woodied, honeyed apricots with burnt sugar - meant for one man and one man only (but no one knew who). The boat (oh god, still? really?!) was cleaned with caustic soda on the gentle, rubbery wood (after years at sea and some finding the wood to also be lovely, this led to insensitive Chinese impersonations). The cargo had now been made into some finished products: (Club) Tropicana from the fruit, fruitcake from a whole host of items (including fruit), cinder toffee and licorice from the burnt sugar, and parma violets from the, errrr, Calvados and silage? (it's a secret recipe..). The boat was long, long, long, long, really quite long (the extended version of Curtis Mayfield's Move On Up), medium long and as long as a slightly lucky series of green traffic lights. And what better way to cast off this long, exotic, tiresome boat than with... wait for it... a drum solo! This slipped down rather nicely and was scored pretty consistently. 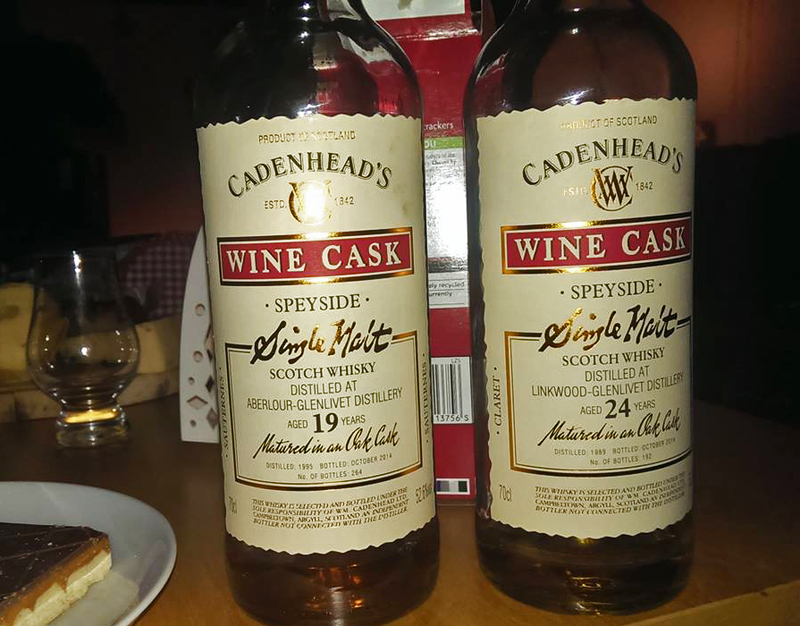 With comments including "fig rolls", "lots o' liver" and some general poo chat (no doubt from all that silage), you might suppose otherwise, but it was one of those intriguing whiskies that delivered. It blew no one away (except for that boat metaphor, I hope), but pleased most. “The legs are enormous!”, commented one, and it was indeed a big whisky too, but the taste was a little less enormous than the legs.